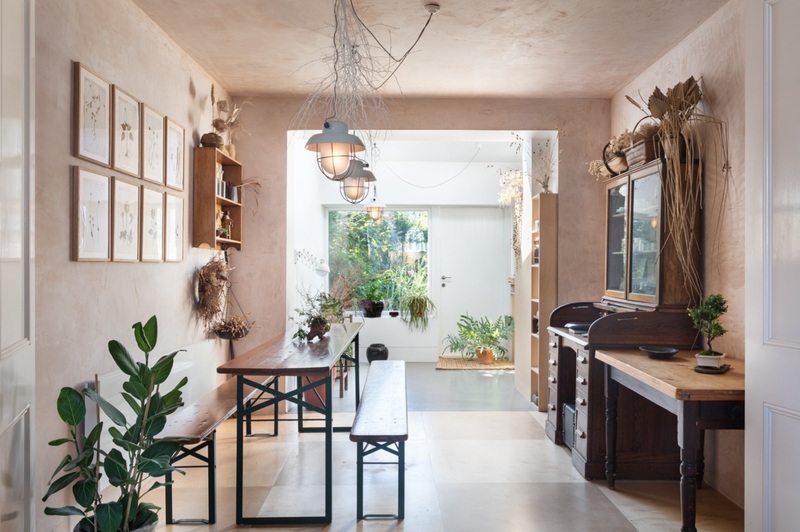 A wabi-sabi inspired home is a restful space that nourishes family life. It’s a place for well-loved things that carry stories and evoke memories, not just new things bought on impulse. It’s unpretentious styling, done in a perfectly imperfect way. Its beautiful minimalism paired with this sense of character makes a house truly a home. We’ve teamed up with Beth Kempton, a Japanologist, life coach and author of Wabi Sabi: Japanese wisdom for a perfectly imperfect life to share more about this lifestyle trend. 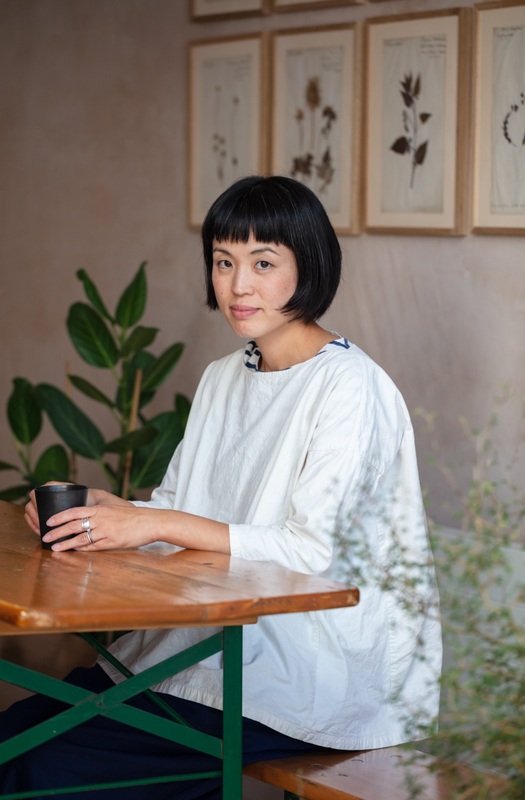 Yasuyo Harvey, a Japanese Botanical Stylist, gives us her top tips using simple, natural objects alongside unique houseplants to show us how easily this style can be recreated at home. So, we’ve brought together Beth and Yasuyo’s expert insights to explore the practical ways to embrace and celebrate the imperfect in your living spaces and create visual harmony. Beth: Make the most of your entranceway, which is called a genkan in Japan. 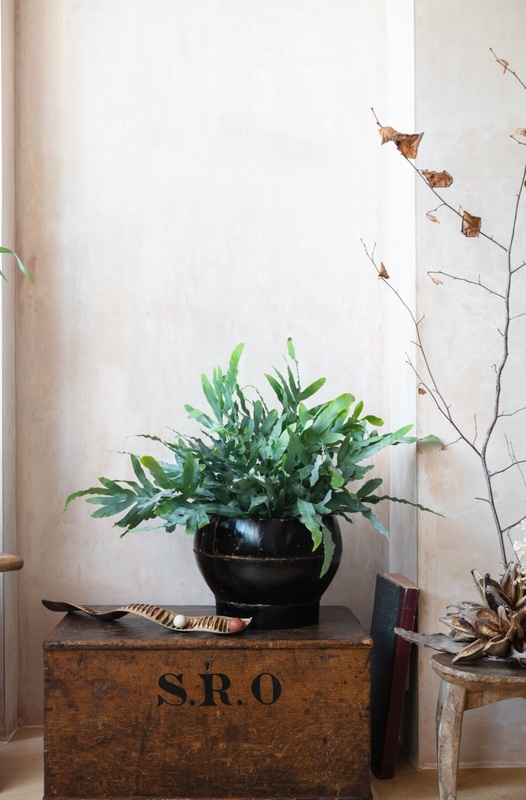 Tidy jackets away and introduce a selection of houseplants to welcome your guests as the impermanence of nature reminds us to embrace the natural state of things. 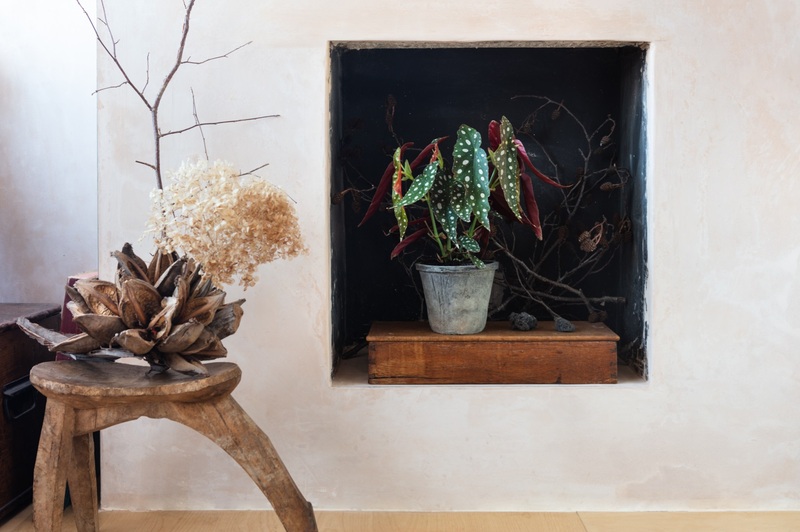 Yasuyo: Combine houseplants with mosses, driftwood, rustic metals, natural stones and earthly woods to create a feel of decay. These items can be collected on walks with family or friends, brining in object that bring memories into your home. Beth: The eye and the imagination love imperfection, asymmetry and non-uniform surfaces. Experiment with natural matte materials like wood, clay and stone in your home, and natural fabrics for bedlinen, clothing and kitchenware. Use handmade ceramic pots and vases for houseplants. See how these bring a sense of character and calm. Yasuyo: Using irregular shapes of houseplants such an indoor bonsai tree will achieve this asymmetry. 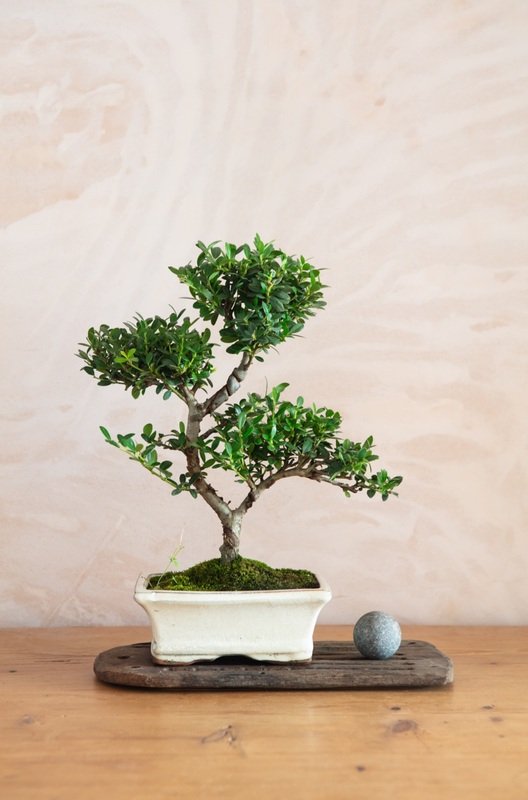 Bonsais require lots of cultivation techniques like pruning, root reduction, potting and defoliation so for beginners, I recommend choosing a tree that is already in a good, balanced shape, and position it in a bright space out of direct sunlight. Beth: Connect with the basics and consider how you can bring nature into your space with houseplants, branches, shells, pebbles and so on. Discover the joy of finding and styling these yourself. Yasuyo: Juncus Effusus 'spirals' also commonly known as ‘corkscrew rush’ add to this sense of earthy simplicity, with its interesting coil shaped stems growing in many directions. Ideal to use in a ‘kokedama’ which means ‘moss ball’ in Japanese and place it on an old stone dish. Beth: Embrace low light and darkness when it suits the season and your mood. Keep both light and shadow in mind, noting how the contrast changes your space at different times of day. Yasuyo: Choosing houseplants in darker shades adds to the melancholic atmosphere of a room. Begonia Maculata is a hardy indoor plant with distinctive dot patterns and two-toned coloured leaves making it exotic and unusual. It stands out best in a very simple container, grown in partial shade with well-drained soil. Beth: Create tiny corners of beauty in unexpected places. A small vase on a windowsill. A vibrant houseplant on your desk. They all make a tiny pocket of delight waiting to be discovered. Yasuyo: Pair houseplants with old containers ideally with cracks, chips and stains or rough and irregular shaped hand-thrown pottery. This embraces the imperfect through the botanical styling. Phlebodium Aureum Blue Star is the one of the fern varieties that has a great organic shape. 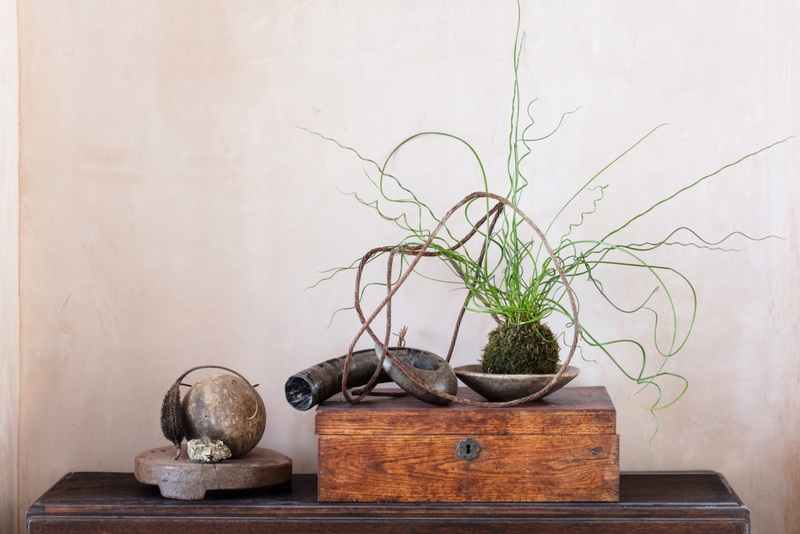 Read more about how wabi-sabi inspires a more imperfect, balanced life. 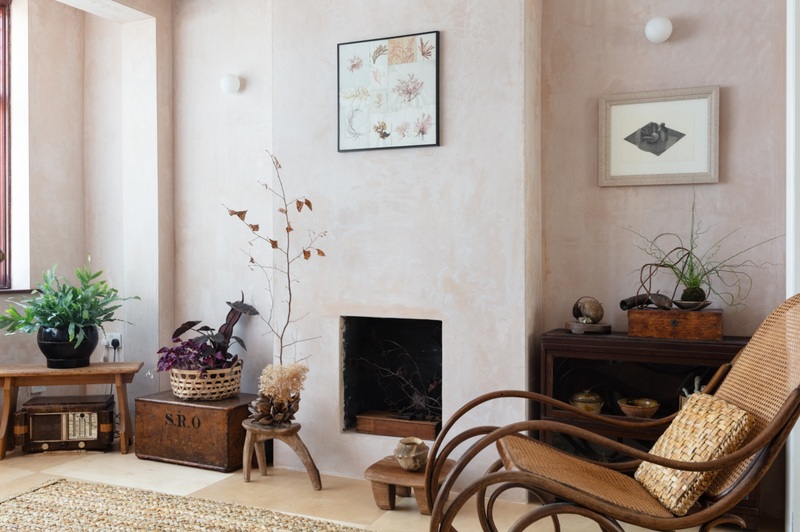 We would love to see your wabi sabi inspired spaces! Tag us in a photo on Facebook or Instagram. For more information on Beth Kempton, author of Wabi Sabi: Japanese wisdom for a perfectly imperfect life, visit her website.